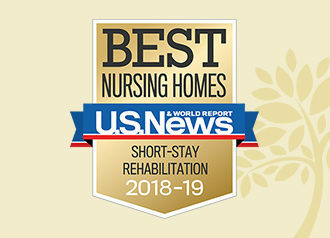 At Country Meadows Nursing & Rehabilitation Center in Bethlehem, PA, our professionals provide 24-hour skilled nursing care and rehabilitation services. We focus on the individual’s physical, emotional and spiritual needs and then customize plans to meet specific needs by offering many choices. Rated five stars by CMS for above-average staff levels. In addition we even staff a physiatrist who specializes in physical medicine and rehabilitation. In our 2018 customer satisfaction survey, 92% of residents and families said they’d recommend our community.